Barnes & Noble announced on Thursday that two of its tablets, the Nook HD and the Nook HD+, are now available at Walmart. The Nook HD offers a 7-inch display that's among the best we've ever seen on a tablet of that size, weighs just 11.1 ounces and starts at $199. 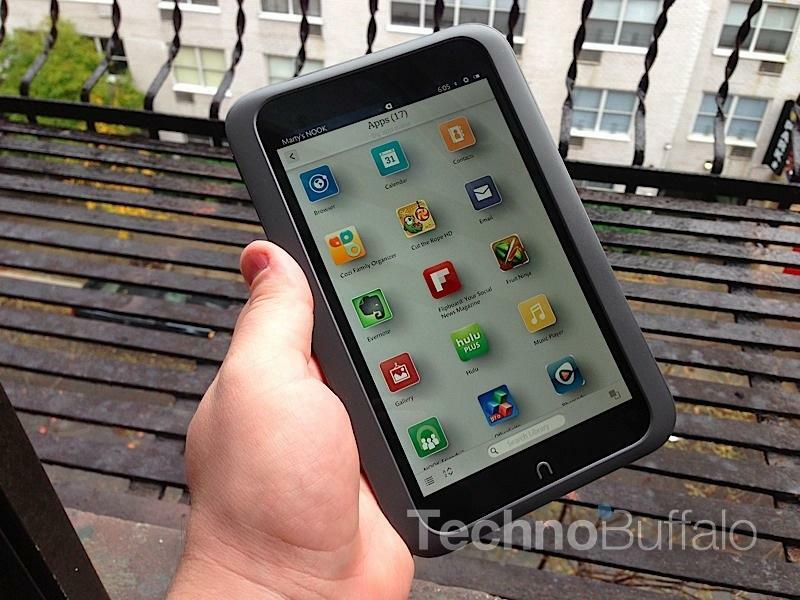 The Nook HD+, meanwhile, offers a large 9-inch display with a full HD resolution, and starts at $269. This is certainly a leg up for Barnes & Noble this holiday season, especially since Walmart recently decided to discontinue sales of all Amazon Kindle products, including the company's Kindle Fire HD, which competes directly with the Barnes & Noble Nook HD. NEW YORK–(BUSINESS WIRE)–NOOK Media LLC, a subsidiary of Barnes & Noble, Inc. (NYSE: BKS), the leading retailer of content, digital media and educational products, and Walmart today announced that the recently launched and critically acclaimed NOOK HD and NOOK HD+, and related accessories, are now available at all Walmart stores nationwide and online at Walmart.com. Starting at just $199 for the 7-inch NOOK HD and $269 for NOOK HD+, these devices are a terrific, affordable gift for anyone on the gift list this holiday season. "We invite Walmart customers to explore these stunning tablets so they can discover that with NOOK HD and NOOK HD+, every book read, every movie watched and every game played is rendered in a digital quality never before seen and unmatched by other tablets." "Our two new tablets offer the best quality reading and entertainment experiences, at the best price, and we're excited to bring NOOK HD and NOOK HD+ to Walmart customers in-store and online," said Jamie Iannone, President of Digital Products at NOOK Media LLC. "We invite Walmart customers to explore these stunning tablets so they can discover that with NOOK HD and NOOK HD+, every book read, every movie watched and every game played is rendered in a digital quality never before seen and unmatched by other tablets." "As demand for tablets continues to grow, we are working hard to ensure the latest technology is in our store at a great low price," said Seong Ohm, Senior Vice President and General Merchandising Manager of Entertainment for Walmart U.S. "The NOOK HD and NOOK HD+ are feature-packed, quality products that will make learning, playing and watching more enjoyable for the whole family." With the highest resolution 7-inch display, reading and entertainment content looks better than ever on NOOK HD. At only 11.1 ounces (315 grams) and just 5-inches wide, NOOK HD fits beautifully in the hand so customers will want to take it everywhere. The world's most exceptional 7-inch reading and entertainment tablet is available at Walmart in the color "Smoke," starting at just $199. For those who want to enjoy reading and entertainment on a larger scale, NOOK HD+ offers a must-see full HD 9-inch display for up to 1080p for movies, magazines and more. The fully laminated display reduces glare and provides excellent viewing angles, perfect for personal or shared viewing. At only 18.2 ounces (515 grams), NOOK HD+ is the lightest full HD tablet ever invented. Offered in the color "Slate," and featuring great battery life and expandable memory for even more storage, NOOK HD+ is available starting at just $269. Both NOOK HD and NOOK HD+ offer a range of new features, including NOOK Profiles™, a personalized experience that instantly transforms the device in hand to any family member's very own tablet so only you can see your content; NOOK Video™, which brings favorite standard and HD movies and TV shows to customers for rental or purchase; and NOOK Catalog, a convenient browsing and shopping experience through a selection of colorful, complimentary catalogs from leading retailers including Pottery Barn and L.L. Bean. For more information on NOOK HD and NOOK HD+, customers can visit www.nook.com or visit the NOOK Digital Shops™ and displays in any of Barnes & Noble's nearly 700 bookstores nationwide.